J.H. Snider’s op-ed in the Baltimore Sun on the proper role of the judiciary in limiting voters’ ability to choose among political candidates. J.H. Snider’s written testimony regarding reforming Maryland’s Public Information Act submitted to the Maryland General Assembly’s Joint Committee on Transparency and Open Government . J.H. Snider’s public testimony before the Maryland General Assembly’s Joint Committee on Transparency and Open Government concerning material omissions in Maryland’s StateStat, a collection of data to make Maryland government “more accountable and more efficient” (see Snider’s video testimony from 1:02:25 to 1:11:26 for opening remarks, and 1:11:26 to 1:24:08 for Q & A) . J.H. Snider’s testimony on two bills before the Maryland House’ of Delegate’s Committee on Health and Government Operations. Both bills concern needed reforms to Maryland’s Open Meetings Act. The first, HB 139, concerns online training; the second, HB 140, penalties for noncompliance. Education Week publishes J.H. Snider’s commentary on school bus scheduling secrecy in K12 public schools. MarylandReporter.com cites J.H. Snider on the deficiencies of Maryland’s updated legislative information website. J.H. Snider’s written Testimony concerning needed reforms to Maryland’s Public Information Act submitted to the Maryland General Assembly’s Joint Committee on Transparency and Open Government. MarylandReporter.com publishes J.H. Snider’s commentary critiquing the procedures of the Maryland State Board of Elections. Reposted in the Washington Post-Examiner. The Wall Street Journal‘s Marketwatch cites iSolon.org’s data on Maryland’s statewide referenda. Local Patches publish J.H. Snider’s article on the extraordinary spending on Maryland’s statewide ballot questions. Snider’s prepared Testimony concerning needed reforms to Maryland’s Open Meetings Act before the Maryland General Assembly’s Joint Committee on Transparency and Open Government. Covered in the MarylandReporter.org‘s Committee asks for recommended changes in Open Meetings Act, October 18, 2012. On gambling vote, what is meant by a ‘majority’? 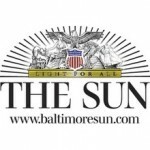 The print edition of the Baltimore Sun publishes J.H. Snider’s commentary arguing that Maryland’s General Assembly, depending on its political self interest, has inconsistently interpreted majority clauses in Maryland’s Constitution. Maryland’s Kent County News cites J.H. Snider’s testimony before Maryland’s Joint Committee on Transparency and Open Government. Patches in Anne Arundel County, Maryland, publish J.H. Snider’s coverage of the most recent meeting of the Maryland General Assembly’s Joint Committee on Transparency and Open Government. J.H. Snider’s prepared Testimony concerning the future of the General Assembly’s legislative information website before the Maryland General Assembly’s Joint Committee on Transparency and Open Government. A video of the testimony, including Q&A with the legislators, can be found here, starting at 1:06:20. Baltimore Sun columnist and Midday host Dan Rodricks moderates an hourlong discussion on the pros and cons of online referendum petitioning and online voting with iSolon.org President J.H. Snider. The print edition of the Washington Examiner publishes J.H. Snider’s commentary observing that, when the issue involves a “political question,” Maryland has one standard for upholding the law for average citizens and another for the politically powerful. Cited in a March 12, 2013 Washington Examiner editorial, Trashing the democratic process in Maryland. The Washington Post publishes J.H. Snider’s commentary arguing that the Maryland General Assembly has a conflict of interest in solving the gerrymander problem, which is the type of democratic reform problem constitutional conventions were invented to address. The Baltimore Sun publishes J.H. Snider’s commentary arguing that the refusal of Maryland’s Governor and General Assembly to convene the con-con voters supported violates Maryland’s Constitution. Paul Jacob’s Common Sense covered it under the headline Constitutional Coup d’état? For more information, see Marylanders for a State Constitutional Convention at MarylandConCon.org. Karl Kurtz, the National Conference of State Legislatures’s expert on legislative institutions, discusses J.H. Snider’s turkey paper in The Thicket at State Legislatures.